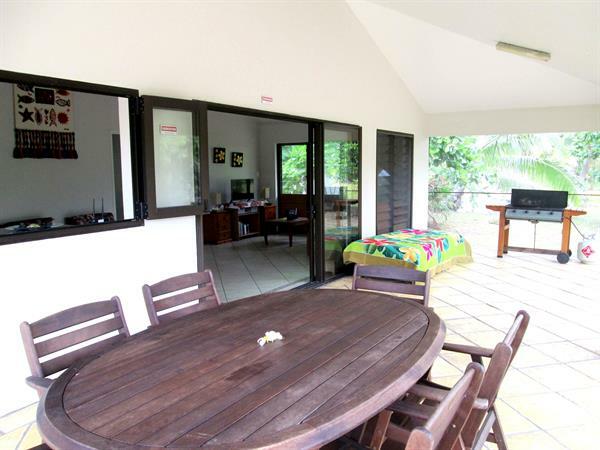 This pleasant private holiday home offers the basic necessities needed for a relaxing holiday. Modern and tastefully decorated, fully self contained, with full insect screens, with lovely large open plan spacious kitchen and living area inside, two separate double bedrooms can accommodate up to 4 people. With a large verandah area, which is also fully screened, for outdoor dining you can enjoy the calm and beautiful evenings of Aitutaki. A well priced property and a great option for families or couples or friends looking for a home away from home. Cancellations made 30 days and over no fees apply, cancellations made 16-30 days prior to arrival will incur 1 night charge, cancellations made 7-15 days prior to arrival will incur 2 nights charge, cancellations made within 7 days or less and no shows will incur full charge of total stay.